I would like to welcome all of you to this edition of our Annual Report wishing you all prosperity and success during 2017. I am pleased to record that the beginning of 2017 coincided with the election of the new Board of Directors for a 2-year term. As we look back on 2016, we can say that in spite of regional and international economic development, Bahrain’s economy and our banks have remained strong. According to the EDB report, in spite of the reversal in the oil sector growth momentum in the second half of the year, Bahrain experienced a slight acceleration in its headline growth during 2016 taken as a whole. Overall, the economy expanded by 3.0% in 2016 as compared to 2.9% in 2015. Growth in the non-oil economy accelerated from an annual 3.6% to 3.7%, over the same period. The oil sector posted a small 0.1% drop in 2015 and 2016 alike. This track record of resilience in the face of an unusually challenging regional economic environment, highlights the strength of the structural as well as counter-cyclical growth drivers in the Kingdom. The unprecedented infrastructure investment, in particular, has been a key source of continuity at a time of low oil prices and fiscal consolidation. It is interesting to note that the Banking and Financial sector ranked second in the non-oil sectors, and this contributed to the growth after the Social Services sector, with a rate of growth of 7.4%, achieving a total contribution to the gross domestic product of 17%. The aggregate value of the banking facilities granted to economic and personal activities reached BD 8 billion by the end of 2016, registering an increase of 3%, when compared to the end of the year 2015. A strong indicator of the strength of the banking sector in Bahrain is the rise of the profits of the commercial banks listed in the Bahrain Stock Exchange, by 13% during 2016 to BD 360 million, compared with BD 318 million in 2015. 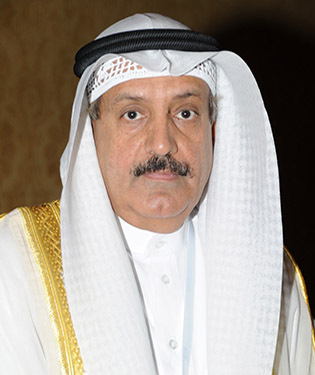 The Bahrain Association of Banks continued, in 2016, to implement its new strategy, which is based on the three pillars: First, a review of banking systems and laws with the Central Bank of Bahrain through establishing advisory groups (lobbying) to address important issues for the banking sector. Second, engaging in the studies and research that opened up new horizons for the financial and banking sector. Third, organization of and participation in local, regional and international events and conferences, which provide added value for not only for the Banks but also for the Kingdom of Bahrain. In addition to this central role of the Association, we should also acknowledge and praise its role in the establishment of the GCC Banks Federation, which came at the initiative of the Association and includes banks’ associations in the Gulf Cooperation Council (GCC). The Association also will continue organizing the annual reception ceremony for Bahraini banks during the annual meetings of the International Monetary Fund and the World Bank in Washington. We intend, during 2017, to activate the permanent committees of the Association through the restructuring and the designation of these committees, and the development of their internal regulations to give deeper and more comprehensive institutional dimension for the activities and functions of the Association and allow for greater participation from all members of the Association to enable the Association of perform its functions. Finally, we must record here with full of pride and appreciation, the unlimited support provided by the Central Bank of Bahrain for the banking and financial sector, and the Association as well, where this support is regarded as the cornerstone of the success of its functions and role at all levels.